Ian Whitfield has been a part of DHS press since 2016 and branched out from from his newspaper roots into broadcasting this year. Ian Whitfield is the color commentator for the Titan Football Broadcasting and will be continuing it this coming football season. Ian is also a part of two podcasts: Season Saviors and Beat the Bell. He has many memorable pieces like the article on CTE in athletes, Up in Smoke, and the Disgrace that is D-Block. He loves all sorts of sports ranging from Baseball, Football, Soccer, and Basketball. He hopes to continue to continue journalism as a profession and to study it in college. 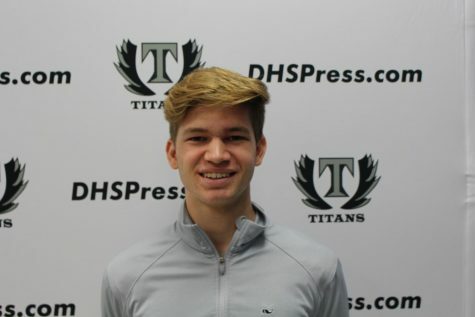 Outside of class, Ian participates in soccer and cross country for Dominion.